This is the bean for delicious flavor! 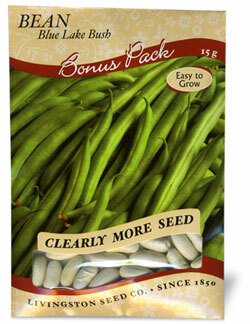 The 6" pods of the Blue Lake Bean are mouthwatering fresh or canned. Planting seeds every 3 weeks until the first of August with assure a continuous fresh crop. Easy- to-grow for all gardeners. Garden Tip: Pick beans regularly to keep plants producing. Expect to be able to harvest bush beans 2 or 3 times.